Amaliya wakes under the forest floor, disoriented, famished and confused. 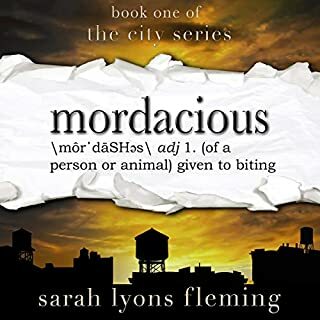 She digs out of the shallow grave and realizes she is hungry... ... in a new, horrific, unimaginable way... Sating her great hunger, she discovers that she is now a vampire, the bloodthirsty creature of legend. She has no choice but to flee from her old life and travels across Texas. Her new hunger spurs her to leave a wake of death and blood behind her as she struggles with her new nature. All the while, her creator is watching. The stillbirth of Mackenzie's son destroyed her marriage. Grieving, Mac reluctantly heads for her childhood home to seek refuge with her mother, who constantly reminds her of life's dangers. 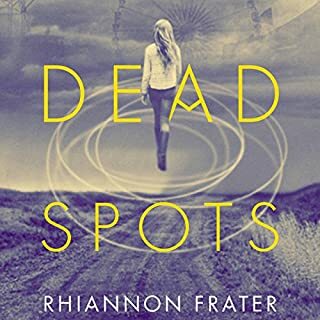 Driving across Texas, Mac swerves to avoid hitting a deer... and winds up in a dead spot, a frightening place that lies between the worlds of the living and the dead. If they can control their imaginations, people can literally bring their dreams to life - but most are besieged by fears and nightmares which pursue them relentlessly. Good concept for a story that is badly portrayed. Amaliya Vezorak always believed she was destined to live a failed life in obscurity until she was brutally murdered by an ancient vampire named The Summoner and reborn as a powerful vampire necromancer. Now it is up to her to save the world. 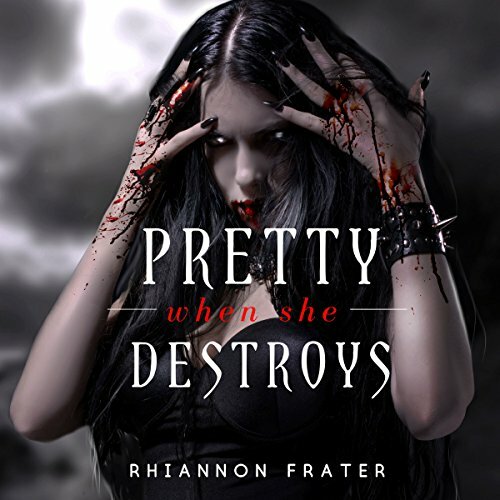 ©2013 Rhiannon Frater (P)2014 Audible Inc. I really liked the characters and the story line. This was a fun listen. I found that I wanted to drive farther to listen to more! I liked the first book but it kinda starts going down from there. Although the the description says its the same narrator as the first 2 books, I don't think it is. This narrator is by far better then that one. I kept zoning in and out of Pretty when she destroys. It's very sedate.. Worst book of the series in my opinion. 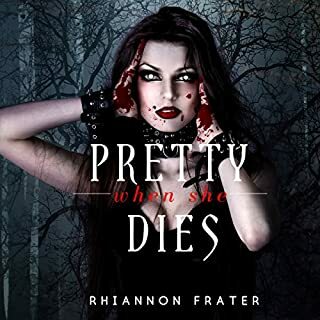 Would you try another book written by Rhiannon Frater or narrated by Kristin Allison? Yes, she does have some reasonable books. As for the narrator. 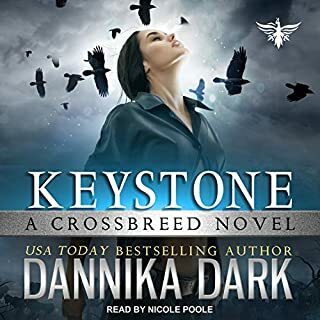 This book was narrated by Angela Starling, or was in my version despite what the blurb says. And she was way better than the narrator for the first two who could not read narrative to save her life. Allison reads to fast and monotone for narrative. 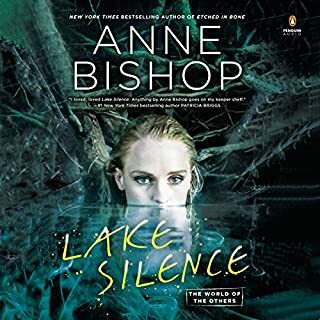 Heck pretty when she dies is a longer book (in text) than this one but is 2h40m shorter than this one in audio, and all down to over fast reading that left no texture of light and shade to the narrative. This one was better. No plans at this moment. I honestly can't think of one scene that leaps out at me that I can say I loved. And I did think about it for a few minutes before answering this question. If you could play editor, what scene or scenes would you have cut from Pretty When She Destroys? I would hack up most of her romance drivel. I'm not sure what readers will like the romance in the books. Maybe some will, but for me I found it adolescent at best and vomit inducing at worst, and I've said this about other books of hers too. This one is the worst. Too many repeated cliché lines that are spouted by every couple In the book. How many times do we really need to hear every couple say they feel more love for the person every time they look in their eyes? For me the romance played too much of a part in the book but at the same time lacked any really believable substance at the same time. I don't mind romance in a horror book, or vice versa, but when you lay it on with a spade using similar sentences over and over it makes me want to reach for a bucket. The reason I really hammered the book in star rating was the plot. I found it stupid and unlikely. They want to turn the world to eternal night. This would kill all plants, then animals, then all humans and then finally all vampires etc. There is ONE paragraph two thirds the way through the book trying to explain this that the vampires will create crops using grow lights and will get their scientists to produce new foods. Just nonsense, or at least way too highly glossed over when this is the main plot. Side plot of the serial killer was about the most transparent plotline I've ever seen. They could easy have tracked the person they suspected by using a ghost but don't because that would after all ruin a transparent plot that you want to string out. In this book they use wards on their houses to help keep the "bad guys" out, but these wards look like a dome over the house to any one with supernatural abilities. So if you think a shield like over Hogwarts in the last film you get the picture. I mean if they use this it would be like putting up a neon sign saying, "Hey guys, this is where we are hiding". No thought at all on this by the author. Easy to have a trigger line to pop up the barrier or other method that did have it up all the time giving their position away to anyone looking for them. At one point Jeff fires one shot and kills a demon, and then in next sentence he has to reload. Must be a new pistol with bad capacity I guess. Book is full of flaws like this, or badly thought out plot ideas. It's like she thinks up an idea and then doesn't give it more though to its failings. Overall not the very worst book I've read, but it is the worst of hers that I've read by far. 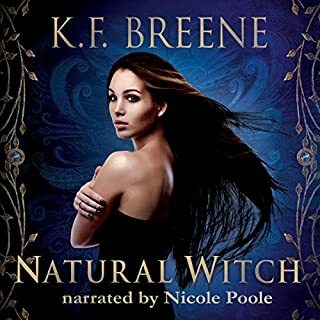 Would you listen to another book narrated by Kristin Allison? I thought there was a different narrator for this book in caparison to the previous two books. Kristin's voice seem a lot softer & accents very different, I'm not sure how I feel. Yes, as its the last in the series I was desperately wanting to know how it all ended. A nice ending, a little neatly to wrapped up. But a satisfying ending that didn't leave you wondering the fate of all the characters. But again wish there was more Amaliya.